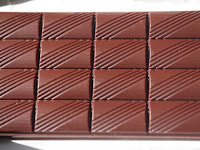 Welcome to Day #2 of Chocolate and Africa Theme Weeks. 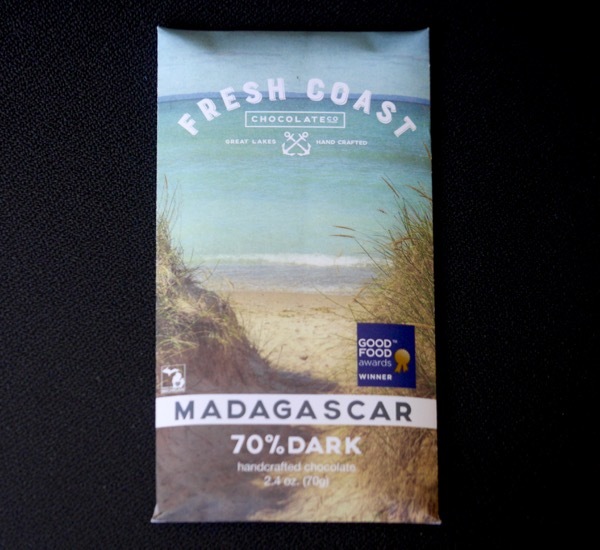 We're continuing our exploration of chocolate made with Madagascar-grown cacao today, with this Madagascar 70 percent Dark bar from Fresh Coast Chocolate Co. (Traverse City, MI). 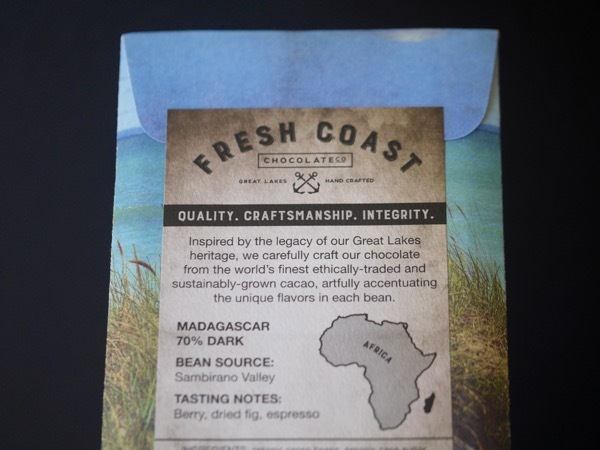 Fresh Coast strives to work with the "finest ethically-traded and sustainably-grown cacao." 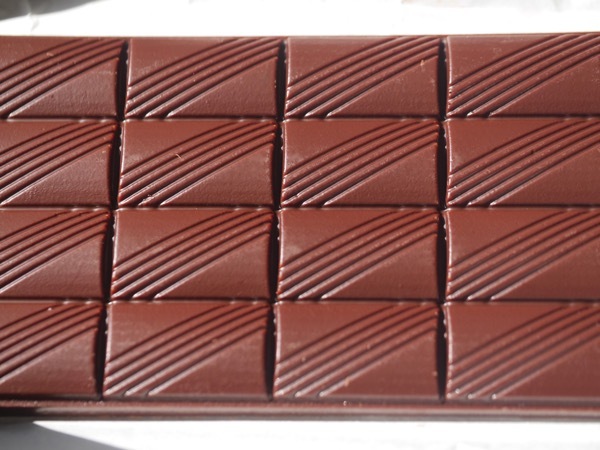 The beans for today's two-ingredient bar (cacao beans and organic cane sugar) came from the Sambirano Valley in Madagascar. 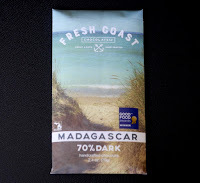 The bar's aroma was full of "singing" red berries, and the promise of tart sweet fruit often associated with Madagascar. (I'm also reminded of the smell of fresh berry jam cooking on a stove.) The melt and texture were quite smooth (especially given there didn't appear to be any added cocoa butter). 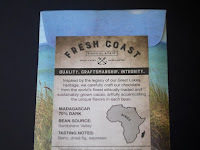 The maker's tasting notes list included: berry, dried fig and espresso. I didn't pick up on the espresso, but did taste some subtle, warm, dark roast notes. The flavor and texture of this Good Food Awards winner was smooth and even, with no off notes.